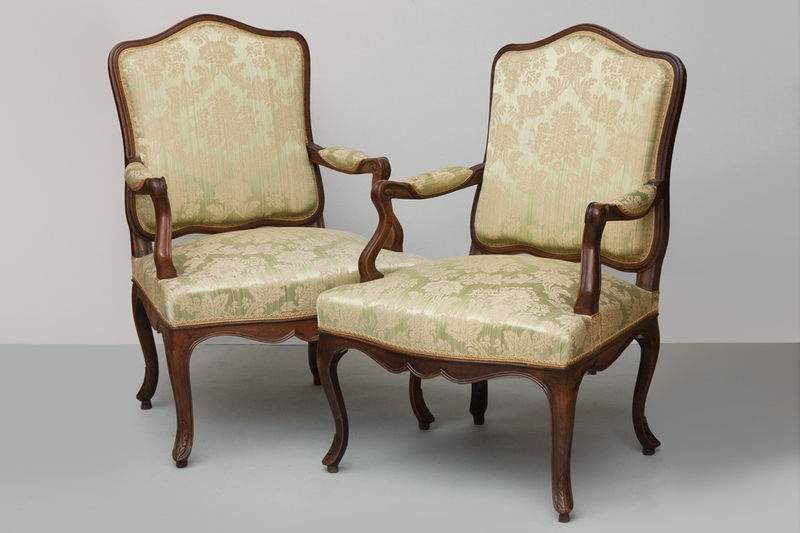 Pair of Louis XV period fauteuils. Mid 18th century walnut open armchairs with cabriole legs and shaped front rails, the shaped backs gently inclined over generous seats. Upholstered in pale green damask. France circa 1760. H. 93 W. 65 D. 58 cm. H. 37 W. 26 D. 23 in.